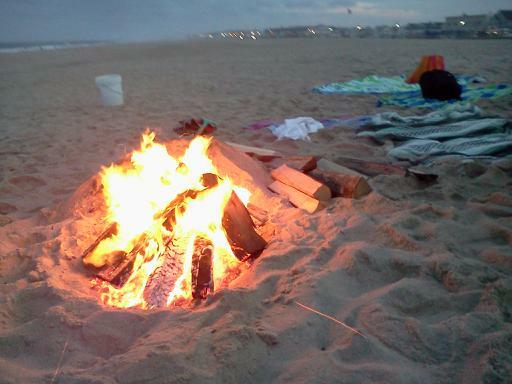 I was lucky enough to attend a bonfire party on the beach. That really was quite an experience. The only bad part? 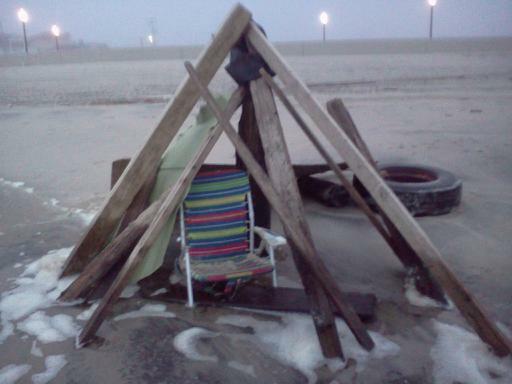 I was under the impression that a fire at the beach would attract Annette Funicello and Frankie Avalon, but no such luck. 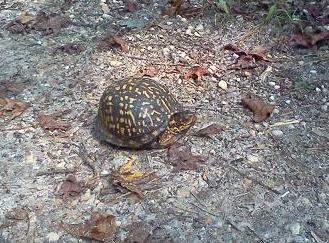 This next pic is a turtle I stumbled upon (not literally) while hiking at Allaire State Park. I also saw a snake that day. I would have taken a picture, but I chose to run away screaming like a little girl instead. I don’t know what the object in the next two pictures is supposed to be, but I found it while walking on the beach one night. Is it a piece of art? 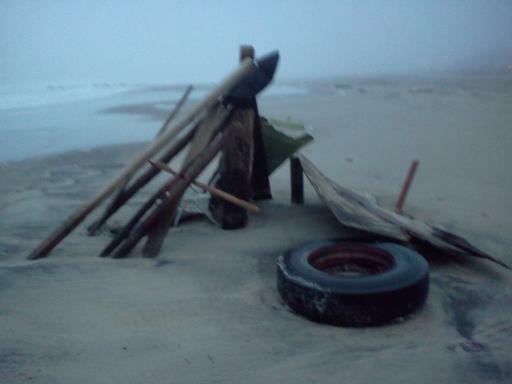 Did some old pirate come and build it as a shelter during the hurricane? Is it Snooki’s secret lair? The possibilities are endless. 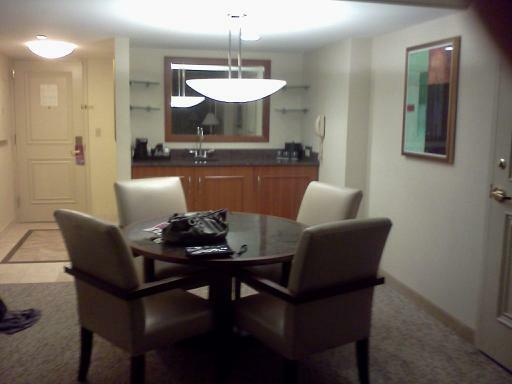 So, the price tag for this suite? A mere $15. 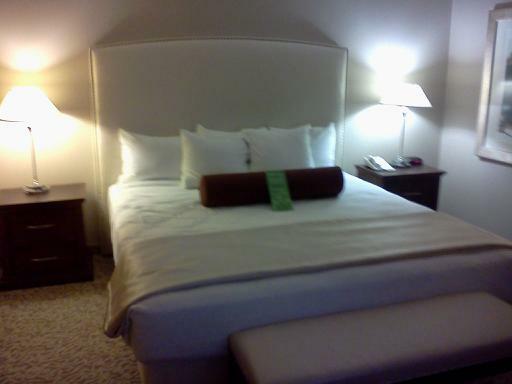 It was a combination of being a loyal customer and making a reservation a couple of days after Hurricane Irene shut down all of the Atlantic City casinos. 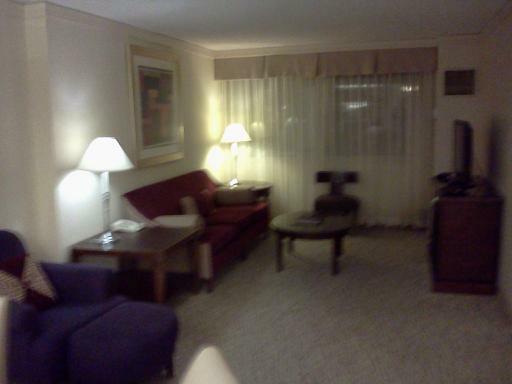 I guess so many people had to cancel their AC plans on account of the storm, they were just giving suites away. This entry was posted on October 10, 2011 at 9:12 pm and is filed under Jersey Shore. You can subscribe via RSS 2.0 feed to this post's comments.